Sixteen-year old Louise travels with her father to the island of Lindisfarne every year ever since she can remember – it’s the place Louise’s mother loved best of all.The arrival of Hassan from war-torn Syria changes everything. Louise is restless and yearning for independence, and the fiercely free and self-reliant Hassan fascinates her. He seems to know the island from long ago as if it were his home from birth. Hassan is an acrobat, maybe a sorcerer, possibly a source of great danger. The wild gang of boys who call the island their home want to cast him out. The forces of love, death and hope move Louise and Hassan towards a deeper understanding of themselves and their place in a world that is both cruel and compassionate. Lindisfarne will change their lives forever. 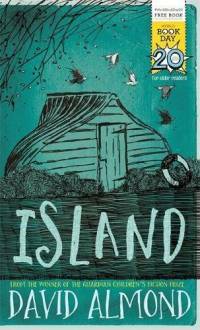 Island is a hopeful and moving coming-of-age story set on the island of Lindisfarne; it was first published for World Book Day 2017.